PATNA: Hundreds of passengers aboard an express train in Bihar had a close encounter with death when its 22 coaches travelled on the track without engine for over 2 kilometers. The panicky passengers heaved a sigh of relief only after the engineless coaches were finally stopped near a village after much efforts but the entire exercise consumed a full on hour. The bizarre incident took place on the Darbhanga-Samastipur section under the East Central Railway on Saturday morning. 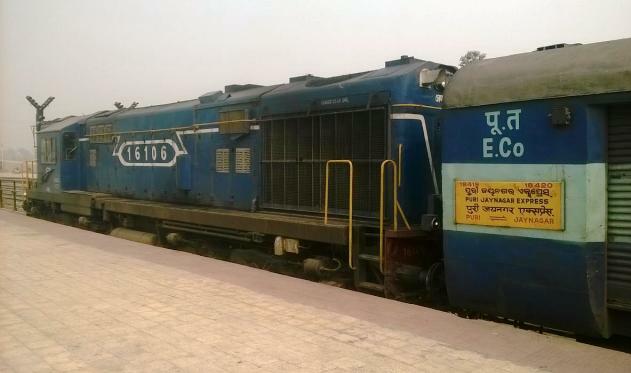 Authorities said the entire 22 coaches of Jaynagar-Puri Express got detached from engine soon after the train left Jaynagar station at 5 AM on Saturday for the next stoppage at Madhubani. In the next about an hour, the train bogies continued travelling with considerable speed without the engine, leaving the life of the passengers in danger. The driver of the train somehow noticed the danger and increased the speed of the engine to avoid collision from the train coaches rolling behind at a considerable pace, witnesses said. After much effort, the bogies were stopped near Behta village outer signal in Madhubani district where all coaches came to a halt. It was then that engine was brought back, and attached with the coaches before it left for forward journey. Authorities believe the incident took place possibly due to breaking of coupling connecting coaches with engines. Meanwhile, a probe has been ordered into the incident.